Known as the Queen of Aegean Sea for its beautiful stunning beaches with crystal clear waters and its interesting Cycladic architecture with the white-washed little villages, but mostly for its vibrant and dynamic nightlife and Beach Parties, this cosmopolitan Island is the ideal choice!...What is the name of this island? MYKONOS! Are you dreaming of a special event? No matter what type of event you are planning at, BlueVillas can be next to you. 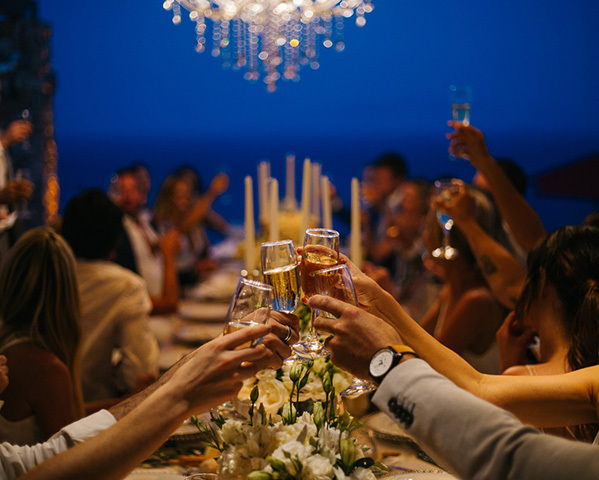 From Destinations Weddings, Bachelor & Bachelorette Parties, Birthday Parties, Wedding Anniversary to Alumni Reunion, our professional Event Coordinator can help you in every step. How can BlueVillas help me to plan an event? 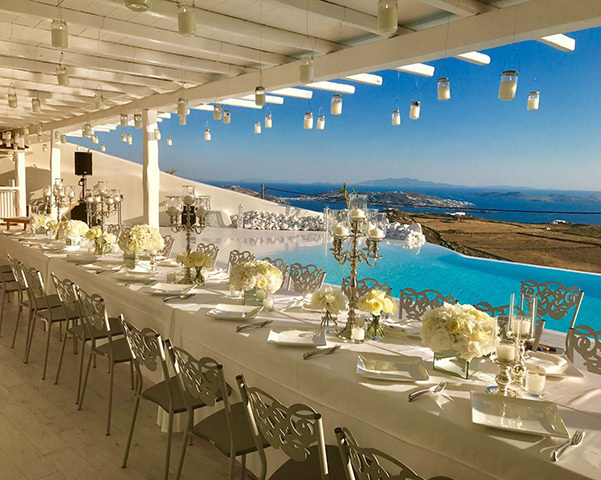 In cooperation with the most professional vendors of the Mykonos, BlueVillas is the right coordinator for you. 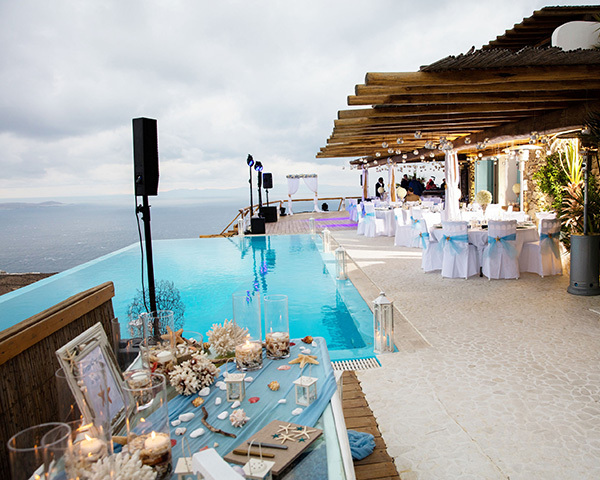 By choosing the appropriate villa for your Special Event, always with the help of our Villa Consultant Team, our on-site Event Coordinator team can redirect you to the required specialists for your event. From Catering, Decoration, Bartending, Dj’s, Live Bands, Sound Systems to Private Transfers, Private Jets, Private Cruises etc. we will make sure that your desires are met. Do not hesitate to contact us. Let us organize together an Unforgettable event!